It’s the event that the Riverina has been waiting for. Empire Touring are thrilled to announce the inaugural Murrumbidgee Music Muster to be held at the Iconic Murrumbidgee Turf Club in Wagga Wagga. The venue was carefully selected and without a doubt will give patrons an amazing festival experience. Country music has always been enthusiastically embraced by the wider community and for this first year, a stellar line up that will appeal to a wide cross section of discerning music lovers has been assembled with loving care. 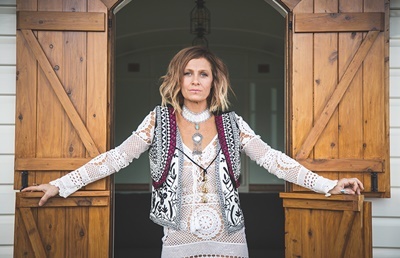 Australia’s country music icon, KASEY CHAMBERS, began her career travelling the length and breadth of our sunburnt country playing with her family in The Dead Ringer Band and releasing her first solo album, The Captain. It sold Double Platinum and that year Kasey won the Aria for best Country Album. The albums and Arias and Golden Guitar awards kept coming and Barricades and Brickwalls went 7 x platinum, spawning the massive No. 1 hit Not pretty Enough. More No. 1 albums followed, and Kasey carved out her place in Australian music history as one of our most recognisable and well-loved artists. Earlier this year she released the highly acclaimed Campfire record. When he was 16 he wrangled his way into a Sydney hotel to hang out with the Rolling Stones. From that day on, RICHARD CLAPTON knew he was going to be a rock star. It’s now almost 50 years since that fateful day – years filled with a lifetime of incredible experiences, outrageous good times and a catalogue of iconic and timeless songs. Through the glory years of rock ‘n’ roll, in cities as varied as London, Berlin, Sydney, Los Angeles and Paris, Richard forged his own career and built up a significant body of work while living, loving and partying with the biggest names in the Australian and international music world. For 40 years, Richard Clapton has been, above all else, a songwriter, a wry observer of human behaviour and an astute commentator on the Australian condition. His best songs – Deep Water, The Best Years of Our Lives, Goodbye Tiger, Glory Road, Lucky Country, Girls on the Avenue, Trust Somebody and Capricorn Dancer – capture the essence of this country and the meaning of our lives like few others. TRAVIS COLLINS, 6-time Golden Guitar winner and back to back CMC Male artist of the year award winner – Travis Collins has established himself as one of the hottest acts on the country music landscape. A dynamic performer with a growing string of hit records, #1 songs, awards and a decade of winning fans across the country under his belt, Travis Collins continues to cement his footprint as a mainstay on the Australian Music Scene. He is renowned for his masterful guitar playing and powerhouse vocals, not to mention his depth of songwriting and high energy live performances. Formed in the early 1990s, THE BADLOVES honed their craft in the buzzing pub rock scene, basing their sound on great West Coast artists such as the Eagles and America. They developed their own distinctive style, led by frontman Michael Spiby, and released a string of hit singles including, Lost, Green Limousine, I Remember and Caroline, as well as the cover of The Weight with none other than Jimmy Barnes. The Badloves released just two studio albums before taking some time out – 1993’s Get On Board, which spent 69 weeks on the charts, peaked at number five, won three ARIA Awards and went double platinum, and 1995’s Holy Roadside, which went gold and reached number 14. Reuniting in 2016, the Badloves are back and sounding better than ever. ALEYCE SIMMONDS is the 2018 Golden Guitar winner for Female Artist of the Year. In 2017, she won the APRA award for Country Work of the Year for her song Greatest Companion and received her 7th Golden Guitar nomination. As part of the Telstra Road to Tamworth Prize of 2004, Aleyce visited Nashville and recorded a successful single, Mighty, Mighty Love. Her list of achievements also includes, Female Artist of the Year for the Australian Independent Country Music Awards 2014, Australian Independent Artist of the Year 2015 and Female Vocalist of the Year and Best Country Single of the Year. One of the hardest working musos in Australia, BRAD BUTCHER has been gaining widespread praise for his sensational performances and his unique sound, developed in an evolving country music landscape. In 2017 Brad released his third album Bottom of a Well, peaking at #4 on the country music charts with the hit single Crawl Beg and Cry which hit #2. 2018 saw Brad honored with a Tamworth Gold Guitar for Best New Talent of the Year, and the Queensland Music Award – Country Song of the year.